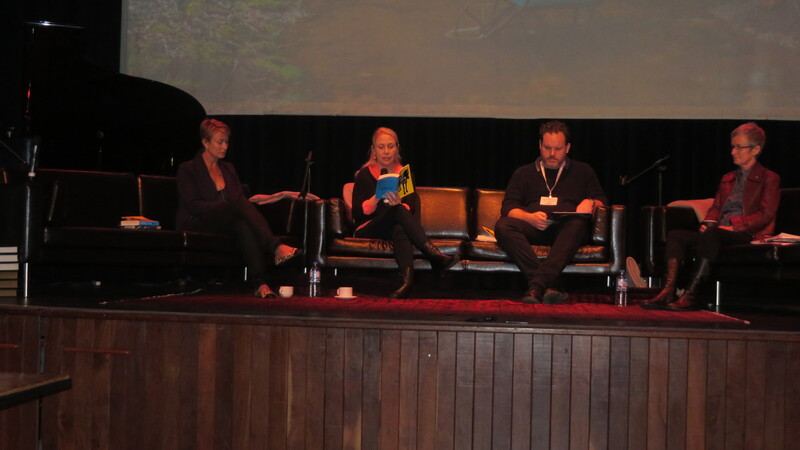 This festival has been exceptional successful is its ability to connect readers with the writer – and a session today with Michelle de Kretser, multi award winning author and dog lover (extra bonus points for that fact), demonstrated this point perfectly today. The audience were enthralled and mesmerised as Michelle discussed her love of books, reading the Just William series by Richmal Crompton as a child in Sri Lanka, her work as a travel writer and editor and the inspiration for her books. And then we had an opportunity discover a little more about the themes and characters in Michelle’s multi award winning Questions of Travel. The audience did not want the session to end! PS Did I mention I had another opportunity to speak with the delightful Mr Robert Gott? Can the day get any better??? An extra special program it was today! So much talent in the town of Margaret River! And so much more still to come. For the young and the young at heart the much respected and adored author John Marsden spoke about his amazingly popular Tomorrow series and Ellie chronicles and writing in general . Writer, comedian and cancer survivor Luke Ryan discussed his book ” A Funny Thing Happened on the Way to Chemo”. This is how Luke describe his book: “It’s a comic memoir about cancer and family and growing up sick and dating while bald and partying on chemo and freezing my sperm and a whole lot more.” If this book sounds like something you might enjoy reading click here to read an introduction to Luke’s novel. 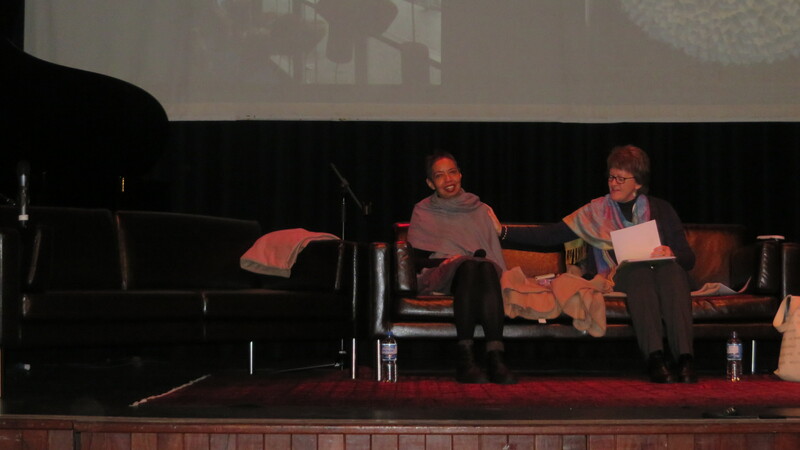 A panel consisting of award winning poet Nandi Chinna and the winner of the Margaret River Short Story Competition 2015, Melanie Napthine and the winner of the SouthWest writer category Carol McDowall read excepts from their works and discussed writing short form prose. Hearing a writer read their own words to you adds so much to the experience. Then we were privileged to hear writer/comedian and migrant Sami Shah talk bout his former life in Pakistan, his introduction to Australian culture (kangaroos, meat pies and regional country towns.) This was a poignant tale that Sami delivered with an inflection of humour and humility. Bravo! Then we moved on to an inspiring discussion about writing, rural fiction/romance, life in country towns with author Fiona Palmer. A member of the audience offered to read to the audience the first chapter of Fiona’s new book The Saddler Boys– what a unique experience. The final session was with crime author Robert Gott. What a great way to end the day talking all things crime fiction, Maryborough QLD and his cartoon The Adventures of Naked Man. What a multi talented person Robert Gott is! And on that note I must leave you – I am exhausted and there is a another big day tomorrow to look forward to . 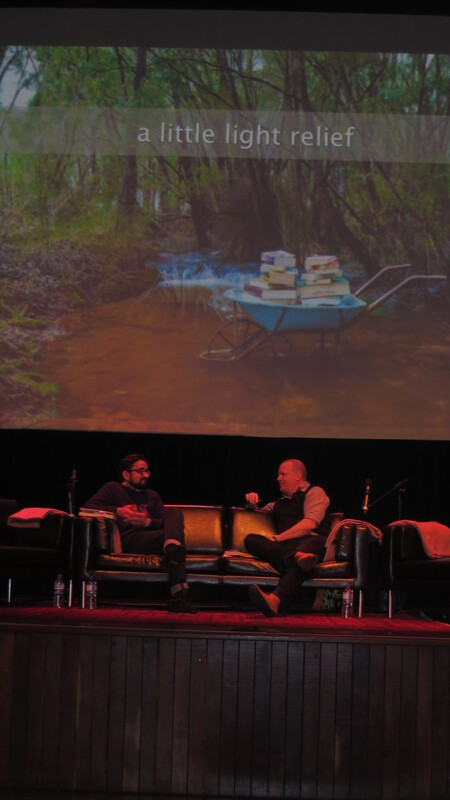 The Margret River Readers and Writers Festival began today with sessions devoted to Beautiful Seasonal Gardens – with award winning landscape designer Janine Mendel, followed by a Season of Creativity with expedition artist and author Jo Bertini. After the lunch break we were introduced to the Season of Discovery which focused on the art of writing memoir by author and journalist David Leser. 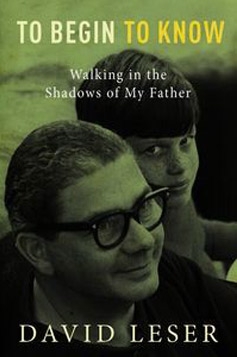 David has recently written and published his 7th book, ‘To Begin To Know: Walking in the Shadows of my Father’, an honest and poignant narrative that delved into his relationship with his father. In this session David talked about the ethics and impact of writing about the personal. What a great start to an wonderful festival! 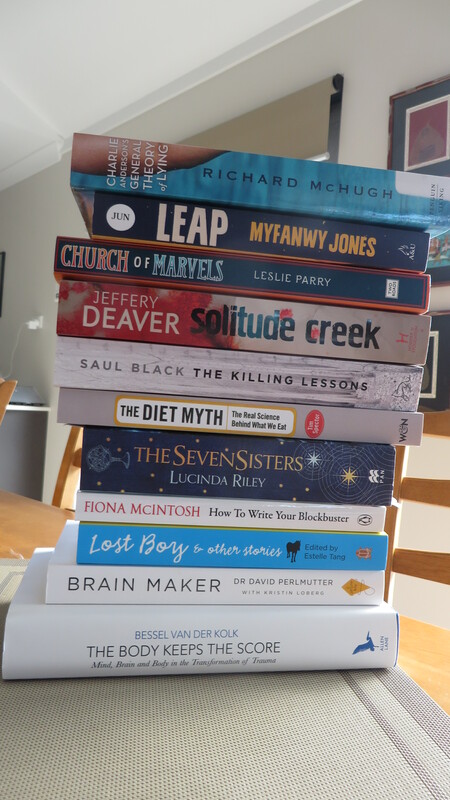 Another great selection of books arrived in the mail this week – do any of these tempt you? I have just started to read the short story collection – Lost Boy and Other Stories- Margaret River Short Story Competition 2015 – keen to have idea of this book before I attend the launch of the festal where the winners of the short story competition will be announced. On Saturday I will also attend 12.00-1.00 session where Award winning poet Nandi Chinna and the Margaret River Short Story Competition winners discuss whether there is a revival in the popularity of short prose – has a new season dawned for poetry and the short story? I am already thinking maybe poetry is having a revival….what do you think?